It’s word-of-mouth for the digital age and brands are pouring more money into Influencer Marketing while frantically searching to bring the best Influencers onboard. 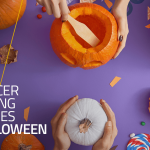 Influencer Marketing allows businesses to get their message across a savvy group of consumers, an audience that doesn’t want to be sold to, or have their favourite content interrupted by ads. The idea is that the message is more noticeable when someone of influence is promoting it. These individuals, known as Influencers, are powerful personalities who can help prospective customers make a buying decision. 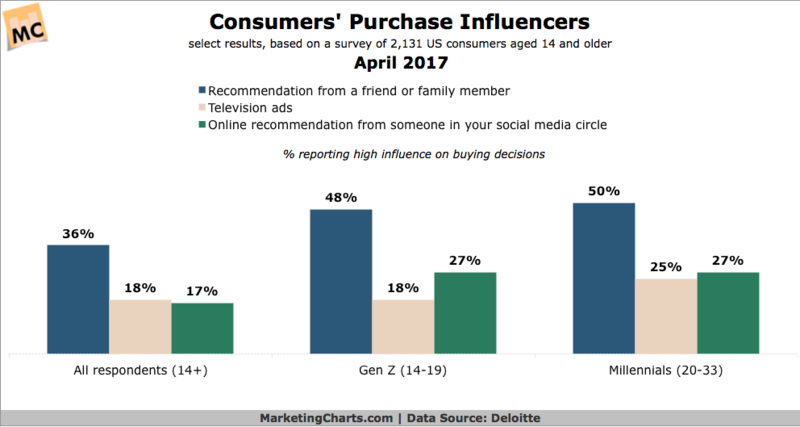 In fact, according to Google research, 74% of consumers identify word-of-mouth as a key influencer in their purchasing decisions. Hence, it only makes sense for companies to gear a decent portion of their marketing budget towards Influencer Marketing. 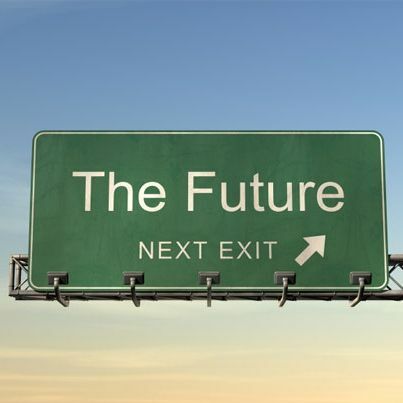 However, finding the best Influencer is a tough chore that requires time and research. Often, the job is given to the Influencer who immediately comes to mind while brainstorming. That’s why you always get the feeling that every company you know of is using the same people to promote their offerings. It looks like they’re endorsing eye shadows on Tuesday, and curved LEDs on Friday. But savvy brands do things differently. They know the best Influencers can have millions of followers, but they don’t disregard accidental stars who have less followers. For them, it’s more important to work with someone whose values fall in line with their mission, as it makes their campaigns authentic, and the Influencer’s recommendation more trustworthy. 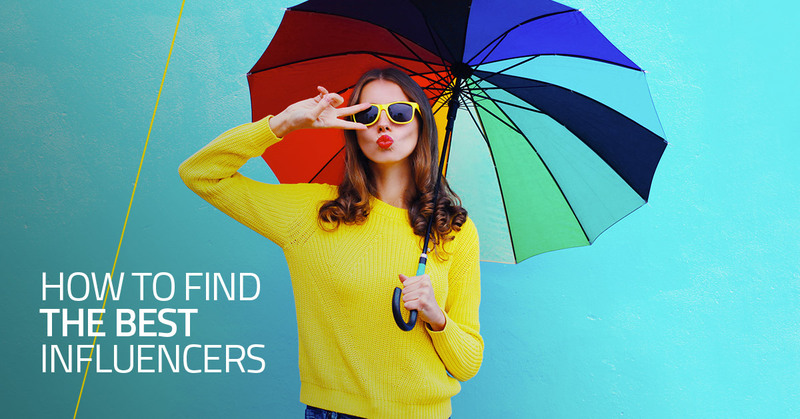 How do you find Influencers who are the right fit for your brand? Here are Buzzoole’s top insider tips to help you get started. After you’ve determined the goal of your campaign, you can begin your search for the best Influencers. The first measure is to find out the most popular type of content in your industry (articles/case studies/listicles that received a lot of engagement). As a first step, you need to search for keywords relevant to your industry or product/service and be sure to set the search in “incognito” so that the results are not affected by your browsing history. If I was the owner of an electric motorcycle company then I would Google “electric motorcycle blog” or “electric motorcycle reviews”. I’d then search through the content on the first two pages of search results to identify the authors behind those content pieces. Ideally, these authors are well-known in the industry, so they’d potentially be the best Influencers for branded campaigns. Another thing you can do is set up Google Alerts for the most searched keywords in your industry. After you do, you’ll get a notification whenever a blog post or news article is published containing your selected keywords. From there, you can see the engagement numbers and reach out to the blog or site owner. 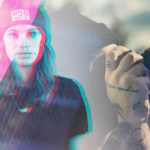 Twitter profiles can be a good sign of an Influencer’s authority. For instance, if someone receives a lot of retweets and comments, they are likely to have a high level of influence. However, manually researching Twitter profiles is a painstaking process. Luckily, tools like Followerwonk are available. 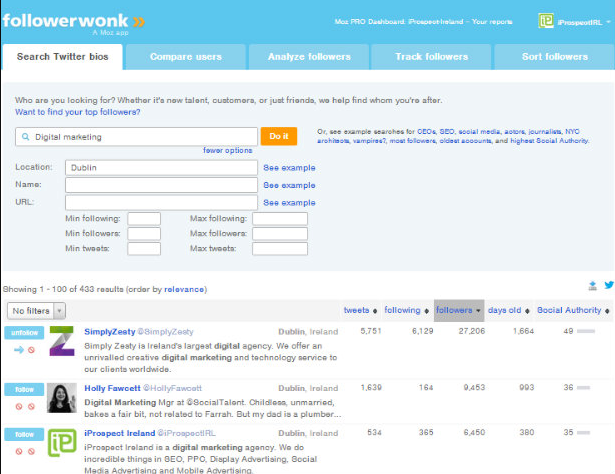 Followerwonk allows you to search Twitter bios and rank them by the rate of engagement and social authority. Followerwonk’s social authority is transparently measured and is composed of the retweet rate of people’s last few hundred tweets, the tweets’ recency, and a retweet-based rule trained on users’ profile data. The profiles you want to be focusing on more are the ones with the most social authority. You can do the same on Instagram, Facebook and LinkedIn, however Followerwonk is limited to Twitter. A smart way to find the best Influencer is knowing who is getting airtime on BBC (UK-based), CNN (US-based), and other media outlets. You can type in your niche along with the keyword “interview” in Google News or YouTube to see who is being invited to speak in front of the camera. The benefit of this approach is that you might find influential personalities who have gone under the radar in other ways, and you’ll also have an ice breaker when you communicate with them. For instance, you can send them an email with a link to the interview you discovered, along with a note about how it inspired you and your latest campaign. You can also check out “best Influencer” lists in your topic area, check out resources calling for journalists or bloggers like HARO and check out the top stories on your Influencer using Google News and any similar Influencers they may be already collaborating with. Influencer Marketing is a network, and you need to get involved with the conversation. 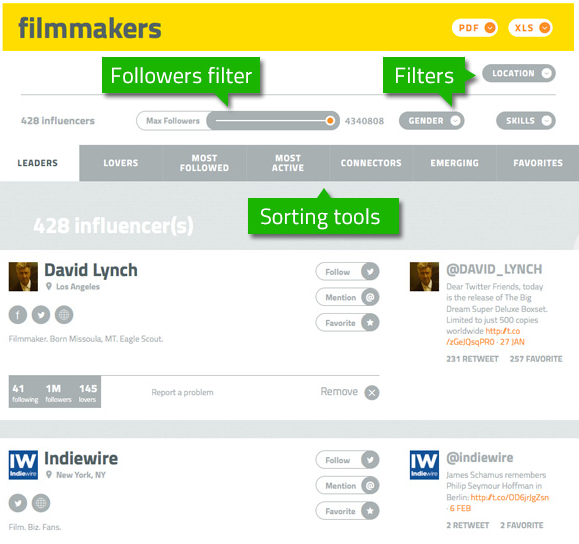 Using Influencer Marketing tools like Buzzoole’s Finder, which uses smart search filters to deliver highly contextual Influencer lists, is an efficient way to find the best Influencers for your specific business and your industry. Such tools automate time-consuming tasks such as doing a Google Search on relevant keywords, discovering top content, and then scrutinizing the individuals who created those content pieces. If you use Buzzoole Finder, you just have to enter the topic in the search bar, and you’ll see a report preview within 5 minutes. Users get to eliminate any results that aren’t interesting and then generate the entire report. 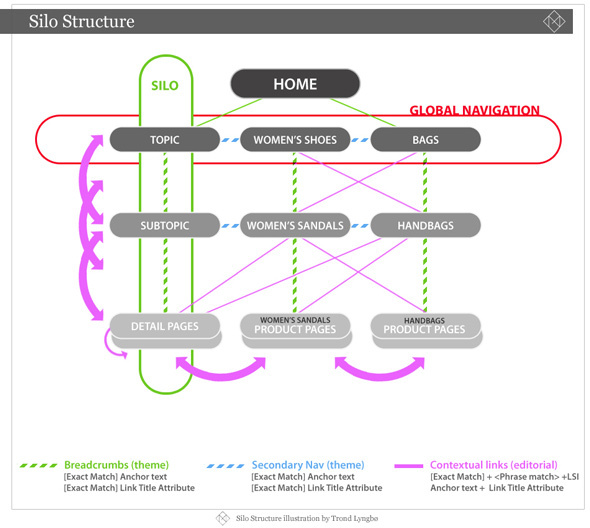 It’s possible to see each result by topic with the social profile of the Influencers (website, blog, Twitter, Facebook). This eliminates the need of using separate tools like Followerwonk to see an Influencer’s authority on multiple digital channels. Moreover, you get to use filters such as skill level, genre, and max follower number. And it’s even possible to limit your search to Influencers who speak specific languages. 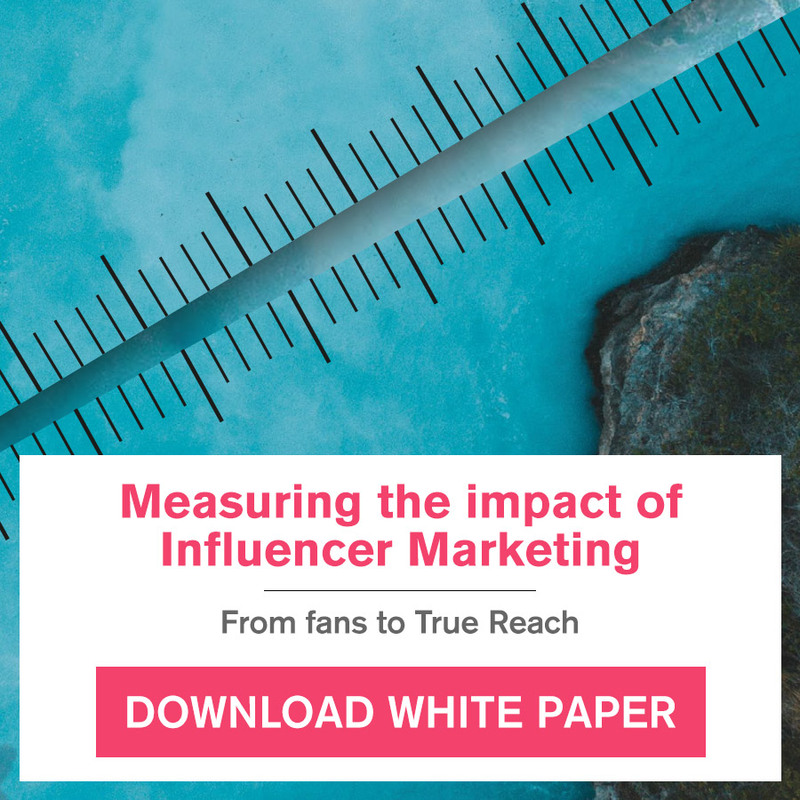 The entire process is automated, so finding the best Influencers won’t take up much of your time if you’re using an Influencer Marketing tool. 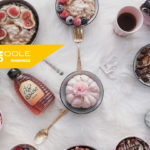 To save even more time, you can use the Buzzoole platform to entirely automate the process and have your ideal Influencers matched to your brand campaign with our pioneering, AI technology. 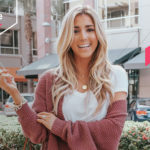 Now you know why Influencer Marketing is such a hot topic these days, and how to find the best Influencers for your campaign. You now are set with all the skills to start searching for influential figures who are going to help your business gain traction. Just remember to look beyond the number of followers when scrutinizing potential Influencers, and make sure to pick those with great brand affinity who will be perfect for your campaign. If you’d rather save yourself time and want to try out Buzzoole’s easy-to-use platform, why not take a look at our brands and “technology page to find out how our propriety AI algorithm finds Influencers with real brand affinity”. Translator, Digital PR expert, and now the Content Strategist for Buzzoole: these roles reveal a love of words, especially the digital ones. 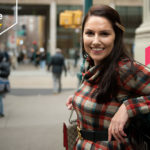 Clarice began working in France following her postgraduate studies there, and then gained experience in a SEO agency in Rome before finally confronting herself with a business reality like Buzzoole where each day she meets with new challenges. Get in touch with her at @ClariceSubiaco.